The history of St. Augustine’s Parish goes back over 100 years . Since it is so extensive we have prepared a brief chronological review. 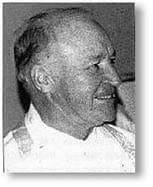 The information for this chronology is from the book Saint Augustine’s Parish, A Centennial History (1892-1992) and is based on the articles written by Mary E. McGahan and Joseph G.E. Hopkins. For more information and pictures, please read this interesting and informative book. 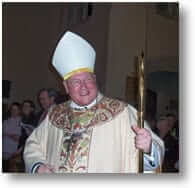 Michael Augustine Corrigan, Archbishop of New York, establishes the parish of Saint Augustine, Larchmont, New York to serve the growing community and the mostly Catholic servants working in Larchmont. 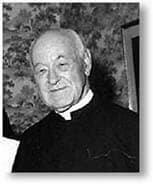 John Cardinal Farley, Archbishop of New York, dedicated St. Augustine’s first parochial school. The granite school building located at approximately the same site of the current school auditorium contained four classrooms on the second floor and a school hall on the first floor. The school was staffed by the Sisters of St.Dominic of Newburgh. Women’s Suffrage Rally held in St. Augustine’s School Hall. Ladies Guild of St. Augustine’s Parish (predecessor to the current Ladies Auxiliary) active in parish support. 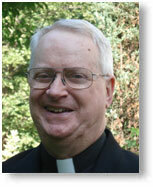 Father James Brady appointed pastor see photo Msgr. St Augustine’s expanding congregation was too large for the Beach Avenue church which could only seat 250 people. The school was expanded to permit Masses to be said there until a new church could be built. St Augustine’s parishioner base was approaching 700. Show performances were held at St John’s Parish House for the benefit of St. Augustine’s parish. Beach Ave. church and rectory closed. Masses now celebrated in St. Augustine’s School Hall. A new Rectory was built on Monroe Ave adjacent to the Dominican Academy, a private school which was staffed by the same order of nuns assigned to St Augustine School. 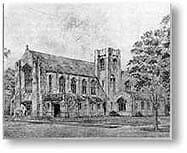 The Amory Estate which was on Cherry Avenue and extended from Larchmont Avenue to Monroe Avenue was acquired as a site for the new church. The Amory home which is now the current rectory was moved down Cherry Avenue to make room for the church. 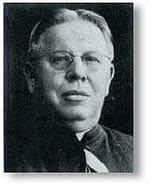 In furtherance of his plan to build a new school, Father Deegan acquired from Laura Albee, widow of Edward Albee, the land between the Larchmont Library and the 1912 school. Ground-breaking for construction of the current school building which was to be of Gothic architecture conforming with that of the church. Msgr. 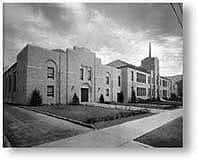 Deegan’s plans for a girls high school on Larchmont Avenue across from the church were never completed. 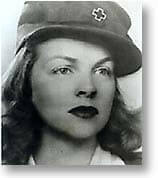 Three young parishioners lost their lives in Korea during the war between North and South Korea. 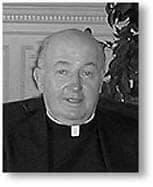 These names are listed on the Memorial Plaque next to the altar of the Sacred Heart: Mario DeSenso, William M. Hickey JR. and Francis H Mac Donnell. After formation of study committees and frequent lengthy debates among parishioners, a Parish Council Constitution was approved. Members of the parish elected to the first Parish Council. 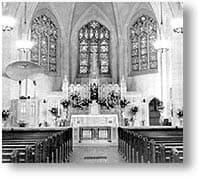 Sanctuary of the church renovated to conform with the guidelines of the Second Vatican Council. Cancer Sewing Group celebrates its 55th anniversary. The Parish celebrates Jubilee 2000 with a colorful procession through parts of the Manor followed by Mass in the Church. Parish celebrates the seventy-fifth anniversary of the dedication of St. Augustine’s Church on Larchmont Avenue. The Parish joins with Monsignor Walter F. Kenny and Father Joseph DeSanto in celebrating the 50th Anniversary of their ordination to the priesthood. Successful Bicentennial Campaign raises funds for major renovations of the Church and School buildings.